Description: The 1 inch (2.5 cm) wide flowers have a central column of stamens and 5 petals that are slightly longer than the sepals. The flowers open late in the afternoon. 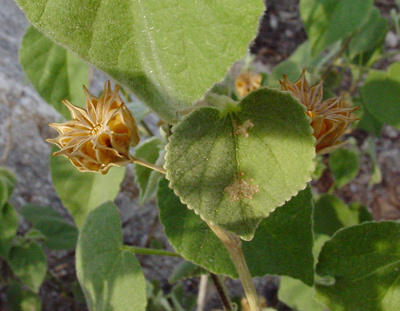 The leaves are heart-shaped with toothed edges. 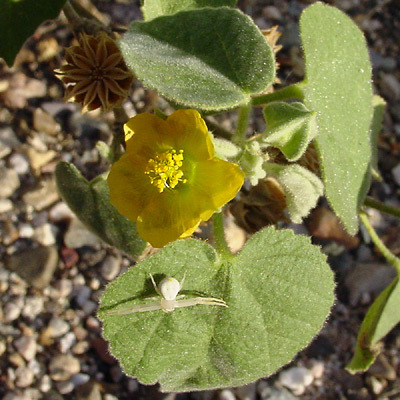 Both the plants and leaves are stellate pubescent (covered in short, velvety, radiating, star-shaped hairs). 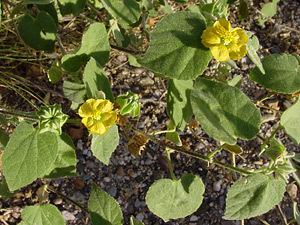 The similar A. berlandieri (A. californicum auct. non Benth.) is not found in Arizona.